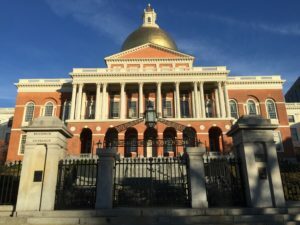 Almost a decade in the making, the Massachusetts legislature has today (July 31 – at 11:57 PM) finally passed noncompete reform. Unheralded, however, is the companion updating of Massachusetts trade secrets law. This is not to say that the bill does not have some flaws. It does. But those flaws should not detract from the significant positive effects that the bill will have. Massachusetts noncompete law dates back to 1811. In fact, by 1837, the Supreme Judicial Court stated, that it is “too long settled to be called into question by a lawyer.” Alger v. Thacher, 36 Mass. 51, 53-54 (1837). Almost 200 years later, the Business Litigation Session of the Superior Court (led initially by Judge Allan van Gestel from its inception until his retirement at the end of 2007 and by Judge Ralph Gants until his appointment to the Supreme Judicial Court in 2009) has made a concerted effort to provide guidance and promote consistency in these cases and thereby make outcomes more predictable. This trend has continued to varying degrees under subsequent leadership and still continues to this day. Building on that progress, legislative reform efforts started in 2009. On January 12, 2009, then-Representative Will Brownsberger (now Senator Brownsberger) filed a bill (H.1794) to ban noncompetes (the approach taken in California, North Dakota, and Oklahoma). On January 13, 2009, the very next day, Representative Lori Ehrlich filed a bill (H.1799) to reform Massachusetts noncompete law. The bill was modeled in part on fairness concepts in Oregon’s then-recent noncompete law. Soon thereafter, Representatives Brownsberger and Ehrlich began a process that one hopes to see in any legislative process: They tried to do the right thing. They investigated the facts. They met with countless individuals, companies, and groups to fully understand the myriad competing interests. And, in the end, they came up with a bill (then referred to as the “compromise bill”) that they believed fairly balanced all of the competing interests. Over the years, there have been myriad modifications to the approach, ranging from a complete ban, to three and six month caps, to salary thresholds, to permitting only garden leave clauses, and others. In the end, what has resulted is, no surprise, a compromise. It starts with the bulk of the early language, after which some was removed, some was modified, and some new concepts were grafted on — all necessary to reach Legislative consensus on an acceptable balance of competing interests. Reaching consensus was in no sense an easy process, as reflected in part in the time it took to get there. Noncompetes are an extremely polarizing issue. On one end of the spectrum are those who have sought to ban noncompetes. They frequently point to the fact that California does not permit noncompetes, which they assert led to Silicon Valley surpassing the Route 128 tech corridor. They also point to academic research supposedly supporting that conclusion. Correlation does not equal causation. Silicon Valley’s success is no surprise given its history. California’s ban on noncompetes is not as black and white as assumed (at least before the 2008 California Supreme Court decision in Edwards v. Arthur Andersen LLP). The academics are the first to acknowledge that the data is too preliminary to draw such broad conclusions. Noncompetes are used to protect (among other things) trade secrets. If they are banned, Massachusetts would see (as California did) more companies resorting to protecting their trade secrets through trade secrets lawsuits – which are generally more costly and time-consuming, with less predictable outcomes, than noncompete litigation. At the other end of the spectrum are those who would leave the law as it is. They frequently point to the fact that the legal framework that exists has worked fine for almost two hundred years. Though unlikely to be enforced by the courts, many employees who pose no real threat to their employer’s legitimate business interests are bound by noncompetes. This can impact the choices those employees make regarding whether to resign and what next job to take, even when not truly necessary to protect the former employer. Because the courts can reform (or rewrite) an overly broad noncompete (i.e., an agreement that lasts too long, is too restrictive with respect to permitted post-employment activities, or covers too wide a geographic territory), employers have little incentive to draft narrow restrictions. Employees are often not told that they will be subject to a noncompete until they show up at work. Given this polarization, it’s a wonder that any compromise was reached. Of course, as a result, strongly-held, divergent viewpoints on hot-button issues like so-called “garden leave” are visible in the language. 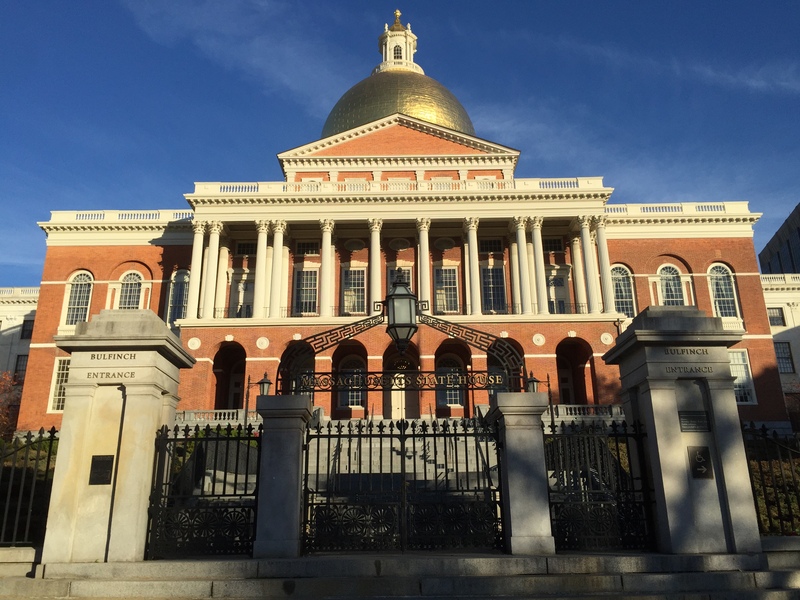 The bill changes both Massachusetts trade secrets law and Massachusetts noncompete law. The trade secrets portion changes Massachusetts trade secrets law from our current law (based largely on the 1939 Restatement (First) of Torts) to the Uniform Trade Secrets Act (UTSA), with some modifications, bringing us in line with the majority of states. Note that it tracks the UTSA, rather than the DTSA language, bringing it in line with the 48 (or 47) other states that have adopted the UTSA. While the DTSA is also based on the UTSA, there are some differences given the national scope. Note also that while the UTSA is virtually universally adopted, it has not been adopted uniformly. See Trade Secrets Laws and the UTSA: 50 State and Federal Law Survey. The noncompete portion codifies Massachusetts noncompete law for the first time. The law will cover noncompetition agreements with employees and independent contractors. Noncompetition agreements are defined to include forfeiture-for-competition agreements (i.e., agreements by which an employee may compete, but if he or she does, they forfeit some type of benefit to which they would otherwise be entitled). It leaves unaffected all other types of restrictive covenants, including (straight) forfeiture agreements, nonsolicitation agreements, no raid agreements, nondisclosure agreements, noncompetes in connection with the sale of business, and separation agreements (that provide the employee 7 business days to rescind acceptance). Noncompetes are limited to 12 months, unless the employee is a bad actor (stealing information or breaching his fiduciary duties). If entered into at the commencement of employment, it must be signed by both the employer and employee and state that the employee has the right to consult counsel prior to signing. And, the agreement must be provided by the earlier of the time of the formal offer or ten business days before commencement of employment. The requirement that the noncompete be necessary to protect the currently recognized legitimate business interests, i.e., the protection of trade secrets, confidential information, and goodwill. The requirement that the noncompete be reasonable in time, space, and scope. The requirement that the noncompete be consonant with public policy. An overly broad noncompete can be reformed by a court. The agreement will be presumed reasonably necessary where the legitimate business interests cannot be adequately protected by other restrictive covenants (i.e., principally, nonsolicitation agreements, no raid agreements, and nondisclosure agreements). The agreement will be presumed reasonable in geographic reach if it is limited to areas where the employee, within the last two years of employment, provided services or had a material presence or influence. The agreement will be presumed reasonable in scope if it is limited to the types of services provided by the employee during the last two years of employment. Garden leave (the concept of paying someone during the period that they are restricted by the noncompete) or “other mutually-agreed upon consideration” is required for a noncompete. Garden leave is defined in two places in the statute. Essentially, it requires 50% of the employee’s annualized base salary to be paid on a pro rata basis during the restricted period. In addition, absent a breach by the employee, it cannot be unilaterally discontinued, although it can be waived. “Other mutually-agreed upon consideration” is not defined, but must be specified in the agreement. It is unclear how the garden leave or “other mutually-agreed upon consideration” requirement squares with the “fair and reasonable consideration” requirement above. Nonexempt employees under the Fair Labor Standards Act (FLSA). Undergrads and grad students who are not working full time. Note that these employees can agree to a separation agreement, which would not be subject to the new law, provided it satisfies the seven-day revocation requirement (see above). Springing noncompetes are permitted (and presumably encouraged) in lieu of a traditional noncompete. This is an alternative to using a standard noncompete that I developed for a client years ago. It permits an employer to assume that the employee will comply with the law and other restrictive covenants and therefore not require an employee to be bound by a noncompete. However, if the employee does not comply with the law or other restrictions, the court may impose a noncompete as a remedy. Massachusetts law will be applied to agreements for Massachusetts residents and workers. All actions must be brought in the employee’s county or in Suffolk County. If in Suffolk County, it can only be brought in the Superior Court or the Business Litigation Session (apparently not in federal court). The law will not apply to existing noncompetes. Rather, it will apply only to agreements entered into on or after October 1, 2018. Like with all legislative compromises, there are things that can be improved. But, given the progress, it is unlikely that Governor Baker will veto it. Accordingly, while amendments will come in time, for now, companies should act based on the language of the bill. To that end, companies should promptly review their agreements and begin the process of assessing whether to replace them with new agreements. Companies have time (until September 30) to put in place whatever agreements they wish. That is plenty of time – but not a lot of time to delay. While new agreements (signed before October 1) need not comply with the new law, best practice would suggest that they do. Agreements that do not align with the new law will be subject to policy arguments about their enforceability and, I believe, will over time be increasingly vulnerable to challenge based on the new standards. I am not alone in this belief; Erik Winton, another lawyer who practices extensively in this area, has expressed precisely the same expectation. We will see. There are lots of lawyers who, like me and my firm, handle these matters frequently. Use one of them. This is a complicated area of the law fraught with traps for the unwary.